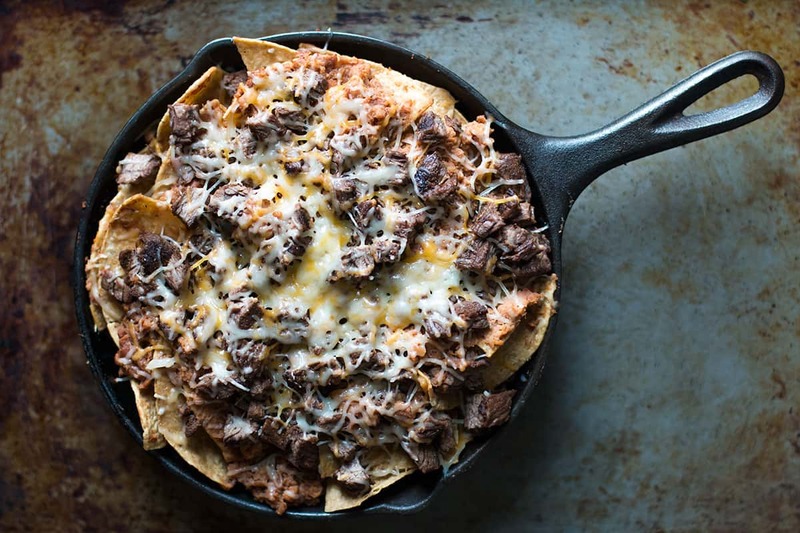 Home Recipes	Loaded Adobo Steak Nachos – The Perfect Game Day Finger Food! 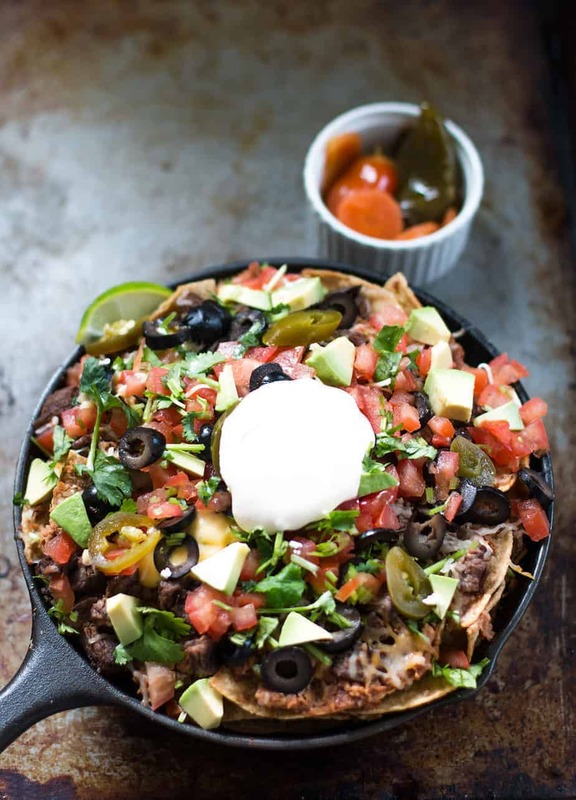 Loaded Steak Nachos – The Perfect Game Day Finger Food! 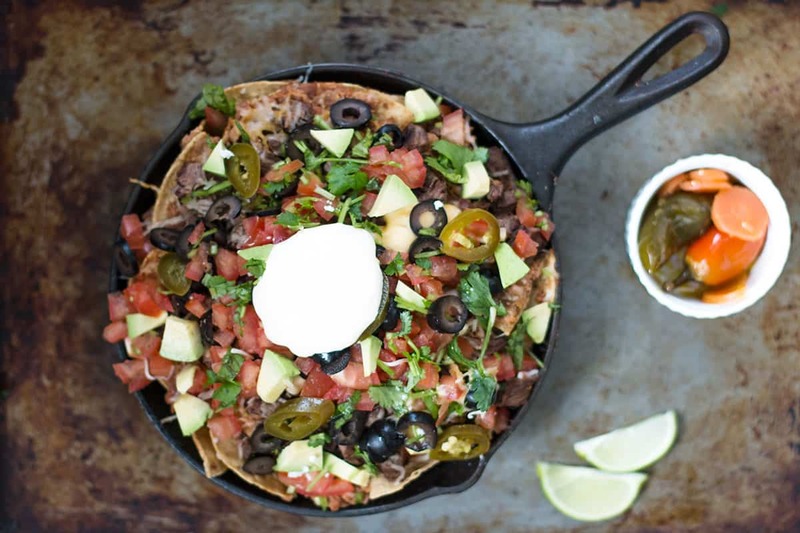 Looking for an easy nacho recipe for the big game? Your guests will love this one and it may be gone before halftime (consider yourself warned!). Loaded Steak Nachos are easy to make, hearty and can be eaten as a finger food /appetizer or as an entrée. The first time I had them was at a sports bar and about half-way through the dish I noticed they weren’t “loaded” enough, my chips were all bare except for a few specs of cheese. When making this dish at home I give generous portions of steak, beans and other toppings so I don’t have any bare chips. 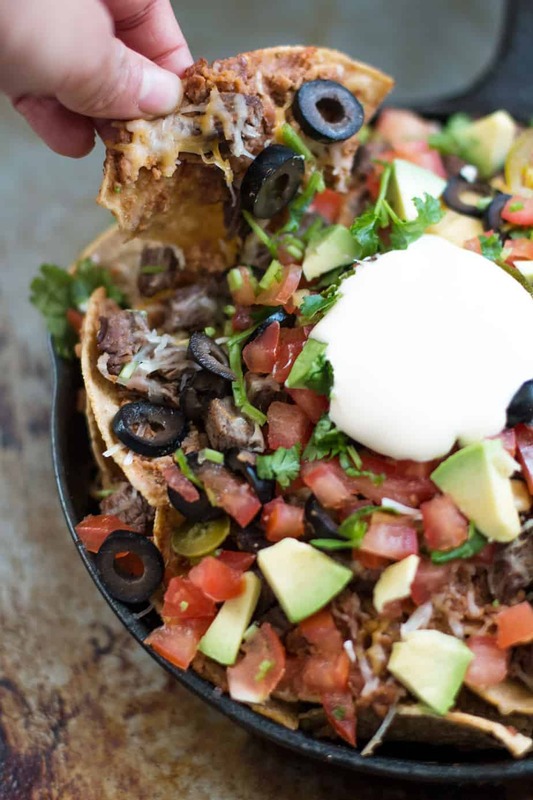 One piece of advice to make your loaded steak nachos a hit is to spend a little extra prep time layering the toppings throughout the dish (at restaurants they oftentimes just pile that stuff on top, so only the first half of the dish tastes good). Another tip is to use adobo sauce in your loaded nacho recipe as it will elevate the taste of the dish to a different level. 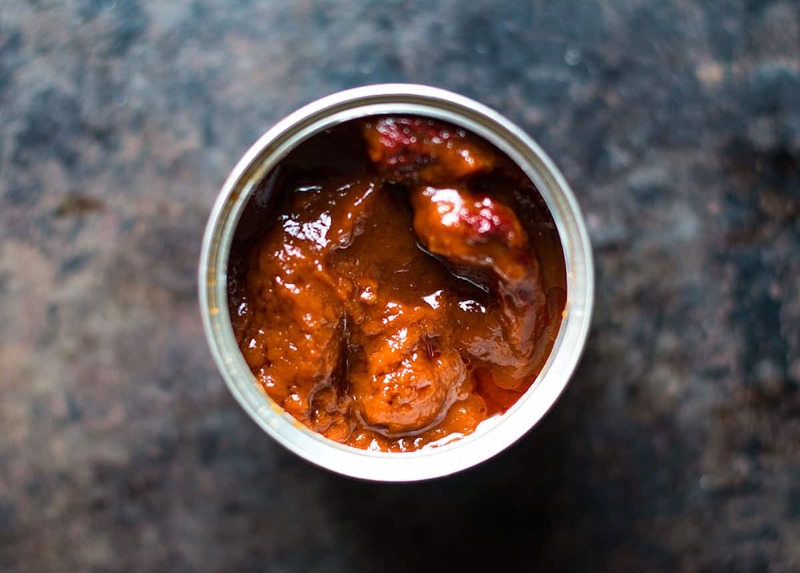 It gives off more bold flavors than salsa and in my opinion blends with steak beautifully. 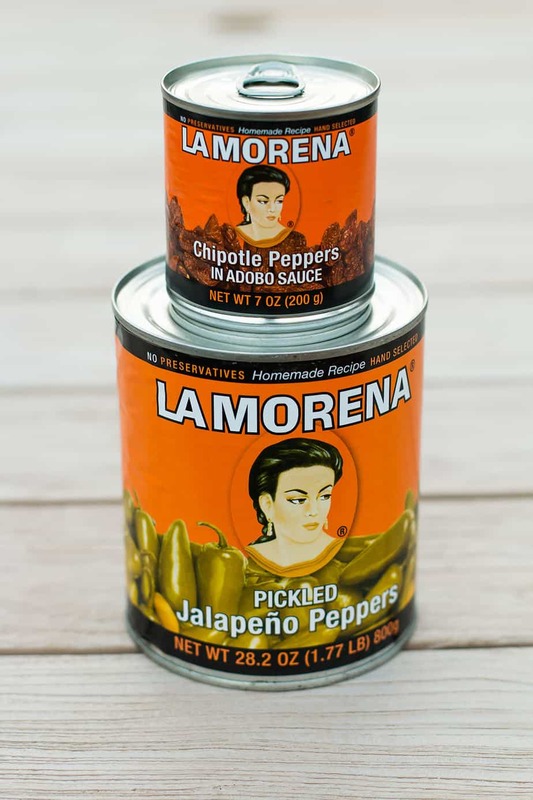 Make sure to use an authentic brand like La Morena, you’ll be able to taste the difference. Here in San Diego there is an awesome Mexican influence on the food and culture and I am lucky to have some of the best Mexican markets close at-hand. 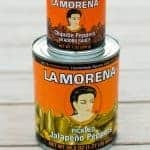 I keep an eye on the brands that my friends and other people buy and the traditional brands that have been around for decades like La Morena are always most popular, I’m very happy to be working with them. You’ll recognize their distinct label and the taste will keep you coming back. 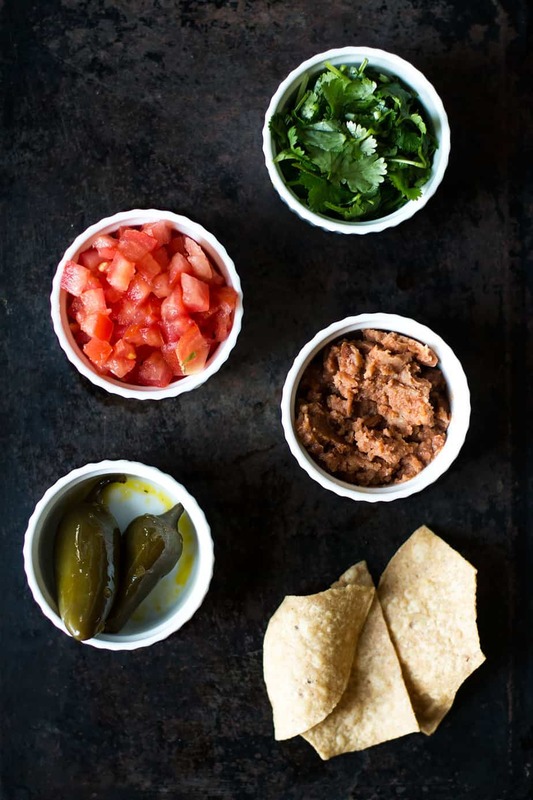 If you’re on the hunt for a healthy nacho recipe this is easy to modify accordingly. Just add more vegetables like fresh avocado and sliced tomato and cut back on the amount of cheese. Like any recipe you can always get creative and add in more vegetables. If you do so you have the option to mince tomatoes and lettuce or spinach very and then mix in with the beans. Speaking of beans you can always use black beans as a healthier option to pinto or refried. It’s still not as healthy as many other dishes I’ve prepared, but on game day I let that slide as my primary objectives are to present dishes that are fun, easy to eat and stand out from the rest. Cook meat for about 5 minutes or until meat looks ready. 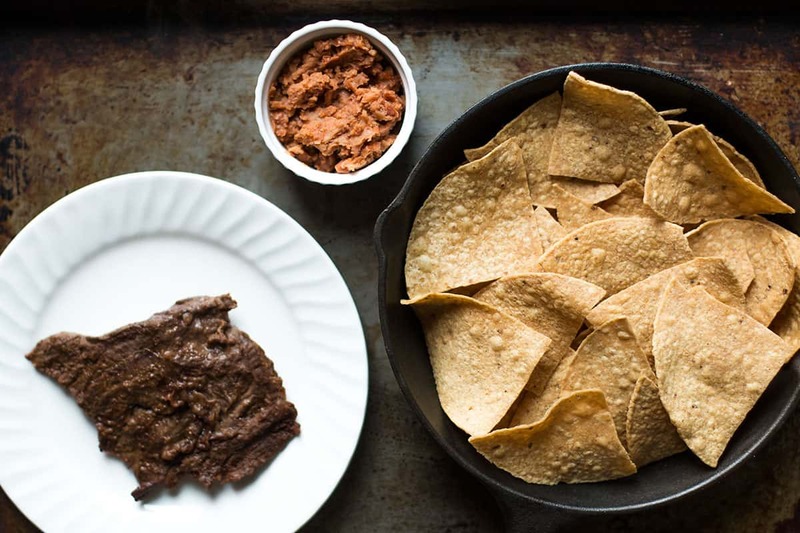 Place the refried beans in a saucepan over medium heat. Stir until thoroughly heated. 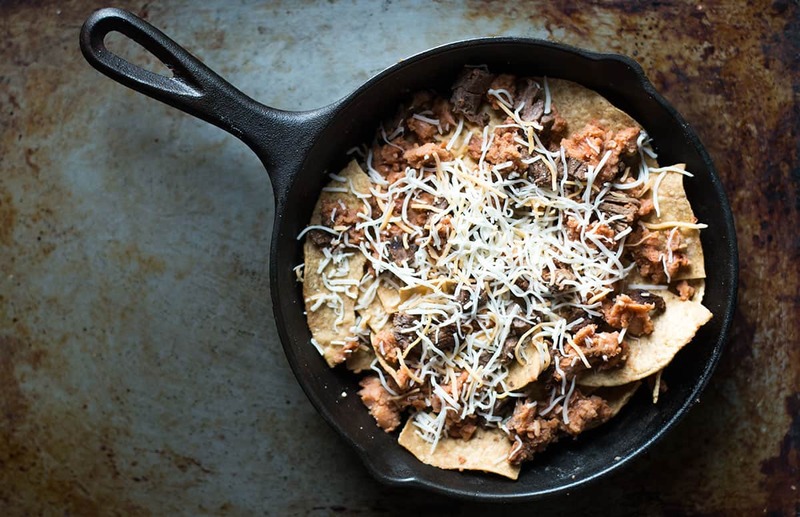 To assembly the nachos, place a layer of tortilla chips on a skillet or grill tray. I make something similar to these when we have people over for the game and it;s always the first thing go to! These are awesome. Oh yum, we’d love to snack on these on a game day. They look delicious and a big plate would be filling enough for all of us. This looks sooo Yummy!!! I am going to have to try this at the our Big Game Party this year. I love the fact that it’s easy to make and that it can be catered to how many people you may have over for the party! We love nachos over here. The avocado pieces on it are the best. This looks yummy. I wanna try it. You just combined my husbands favorite foods!! Steak and nachos are some of his favorite foods to eat. Love the idea of making this in a cast iron like this, looks great for serving to guests too. That’s really awesome. Whether it’s for a simple dinner, or a get together, or even a movie night, this will definitely be a hit. I am a vegetarian but this is perfect for the ultimate meat lover! This would be finger licking good, I wanna grab it from my screen it makes my mouth watering lol. Beautiful looking and I can already taste it – Love the idea of adding more of the great vegies, too – thank you for sharing this great recipe and instructions! I love the way you packed everything into a cast iron skillet. And there are sooooo many toppings that you can barely see the chips. My husband and I would devour this, easily. Thanks! I love nachos!! They are my favorite appetizer and really could eat them every single day with different toppings and protein! These look delicious!! Oh My!!! These look amazingly yummy!! I love dishes that have a mix of textures…a bit of crunch and savory all in one place! Great recipe! Yummm! I love Nachos and I love Adobo! I’m a Filipino and Adobo is a fiilipino dish so this one is a sure winner for me! Your photos is making me drool a lot! I love these fresh vegetable toppings on my nachos. Hubby is more of a meat and cheese kind of nacho eater. He will enjoy the jalapenos where I will not. It looks like we have something arranged for dinner tonight! This looks marvelous. We love nachos and this will go fast, for sure. I love nachos, looks amazing! This looks really good! And your food photo is so alive.. it seems like the nachos is just in front of me!